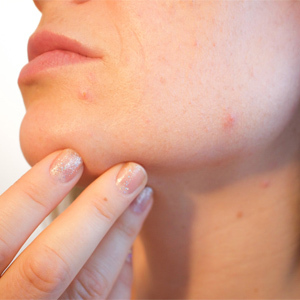 Acne is a very unpleasant problem that can leave scars not only on your face but also on your self-esteem. And when you are not confident in yourself, it may reflect on your self-esteem, becoming a long-term problem, it can have a harmful effect on your mental health as well as social behavior. Bad breakout? Dermatologists say these effective spot treatments to heal your zits quickly. Topical acne spot treatments can rapidly and efficiently assist in the skin’s recovery process, diminishing present acne and keeping the scars away. However, it is hard to figure witch is the most effective pimple treatment method, so we asked several dermatologists to get their expert opinions. Below are five good acne spot treatment products that dermatologists recommend. 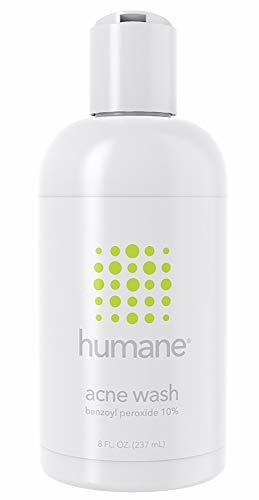 Humane is one of the best acne spot treatment otc products. It rapidly kills bacteria and helps prevent future breakouts. It is not recommended for people with sensitive skin, as it is quite aggressive. it is Benzoyl Peroxide-based  which is often is used to treat mild to moderate acne. More than 70% of all the customer’s reviews available claim that the product is very effective. The product is fragrance-free, which is well received by the customers, as this way skin irritation may be avoided. A remarkable number of people (both teenagers and adults) have posted excellent comments and have included before and after photos of their improvements as well. Read our Humane Benzoyl Peroxide 10% Acne Treatment detailed review here. The acne treatment product is very popular on the Internet, although it has impressively bad performance (considering its’ rating and reviews). Almost 40% of all people who have purchased this product report that they did not obtain satisfying results. The treatment includes a 2.5 oz Wash-In Treatment (benzoyl peroxide-based) and a 1 oz. Spot Corrector.The product description says it wouldn’t dry out the skin but most product reviews inform that this is the most common adverse effect after the application of the product as well as skin peeling. I rarely run across so many negative reviews about a skincare product, so you should have that in mind before ordering this particular treatment combo. 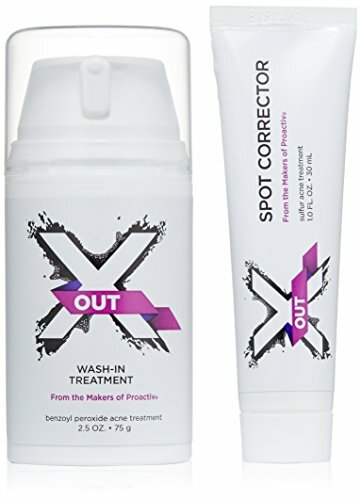 Read our X Out 30 Day Wash-In Combo with Spot Corrector Acne Treatment, 2.5 Ounce detailed review here. The product can be applied as a daily moisturizer and used under makeup. The comments inform that it absorbs well into the skin, not leaving it greasy. What you should expect is a tingling sensation right after the application (this is due to the tea tree oil containing in the product). 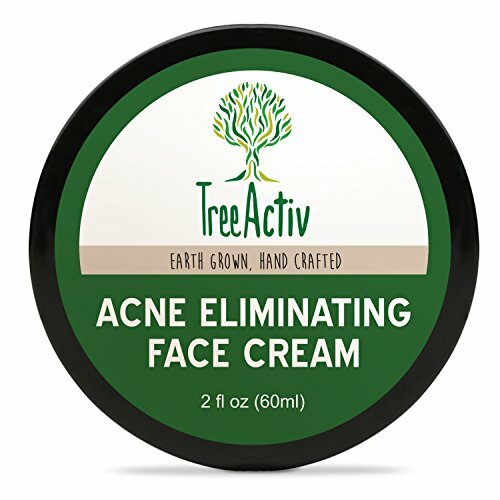 Read our TreeActiv Acne Eliminating Face Cream detailed review here. 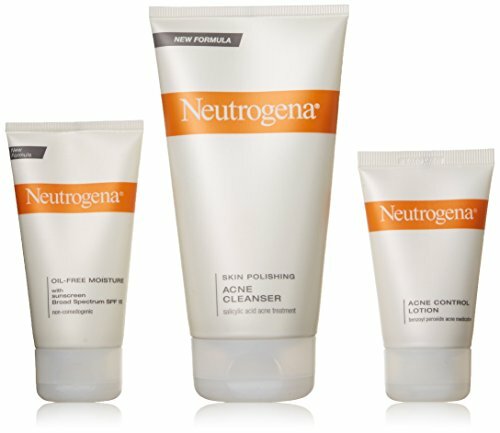 Read our Neutrogena Complete Acne Therapy System detailed review here. 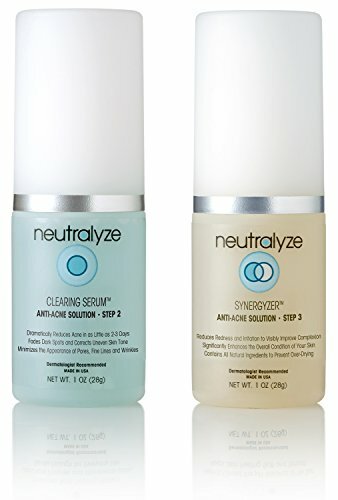 This is one of the best rated acne spot treatments online, containing Neutralyze® Clearing Serum (1 Ounce) + Neutralyze® Synergyzer (1 Ounce) which could be applied on the face, back, chest, shoulders and/or body. Comments say that the product has a very positive effect for both teen and adult acne. The Mandelic Acid  is a superficial peel commonly applied in people of various age groups. As it is mild and does not cause any side effects, they are also often used in treating mild to severe acne flare-ups. Only 4% of all customers saw no difference after using the products. You should also note that unlike other products provoking skin dryness and further acne flare-ups after the application, this one provokes no side effects. Read our Neutralyze Acne Treatment System detailed review here. And here is a great video that describes what you need to know when choosing the best acne spot treatment for your type of skin. I am so pleased to find this article! I have acne and I was looking for the information to treat them easily. I like this article so much. Thanks a lot for sharing.